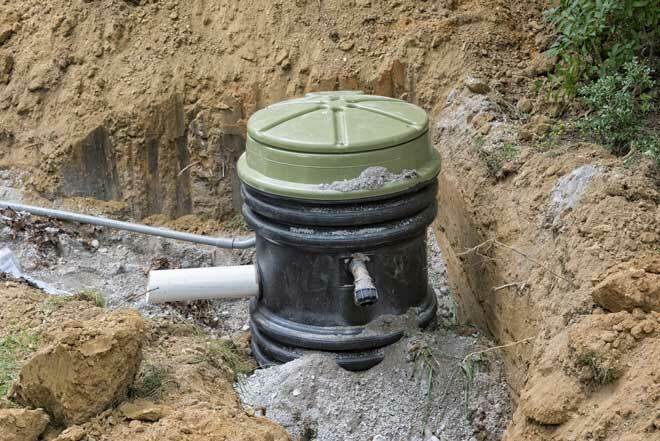 Sump Pump vs. Ejector Pump: What’s the Difference? Sump pumps are a common fixture in homes across the country. However, your basement may have what appears to be a second sump pump. Most commonly, this second pump is found in finished basements near the washer and dryer. Even though it may look similar or even identical, this is actually an ejector pump. But what are ejector pumps and how do they differ from sump pumps? 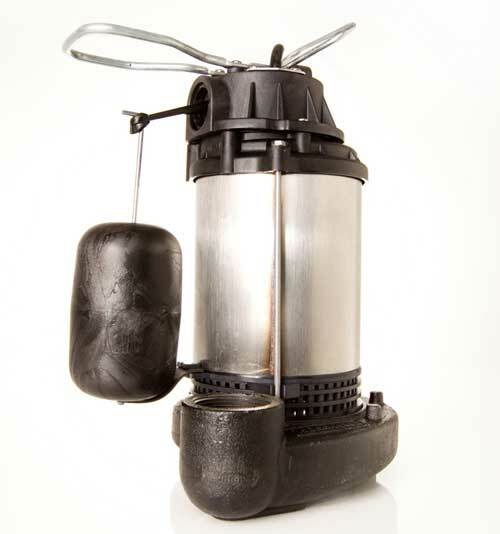 Sump pumps are small water pumps that are available in either pedestal or submersible models. These pumps protect your basement from flooding. The water collected by a sump system is groundwater, either from a natural water source or from buildup by heavy storms, and is generally both cold and clear. Flooding from excess groundwater can damage or destroy the contents of your basement and may lead to mold or mildew. A tank at least two feet deep, known as a sump basin, is installed under the basement floor. The pump itself is connected to an interior or exterior drain tile system. As water is collected by the drain tile, it slowly fills the basin. Your sump pump activates when the water level reaches a certain height, triggering the float switch. Once the sump pump activates, it takes the excess water from the basin and pumps it out through a discharge pipe. Depending upon how your pump was installed, it may deliver this water to the lawn, a dry well, bubble pot, or municipal sewer system. As the water level goes down, so does the float, eventually causing the pump to switch off again. Usually installed by contractors who specialize in basement waterproofing, sump pumps are long-lasting and often easily maintained. Many models also include a backup battery to enable them to keep your basement free of flooding, even in power outages caused by heavy storms. Pedestal pumps are easier to maintain than submerged pumps, but lack the same degree of waterproofing. damaged float switch, preventing the pump from activating or deactivating properly. the pump repeatedly turning on and off. the battery backup failing to activate during a power outage. Ejector pumps may look like a sump pump, but they have a very different function. 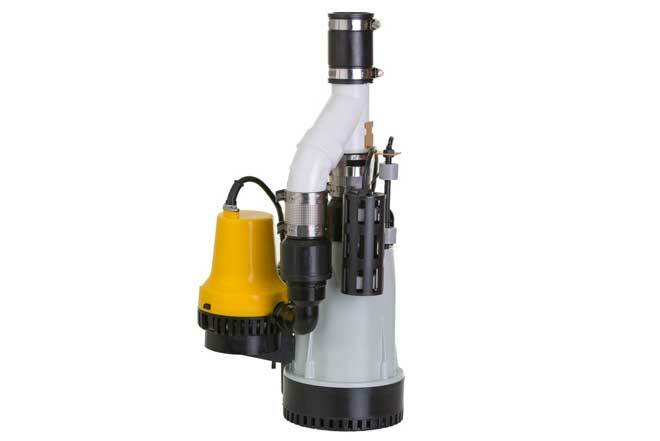 These pumps are designed to handle both solid and liquid waste, and are most commonly found in finished basements. This waste, commonly referred to as “black water”, poses a greater health risk due to the presence of contaminants such as human waste. Flooding by black water poses a health risk and must be carefully cleaned. Like sump pumps, ejector pumps have a basin installed under your basement floor. However, unlike sump basins, an ejector basin collects wastewater from the floor drain, washer, basement sinks, and below-grade bathrooms. The pump’s discharge pipe is connected to a sanitary sewer line. On ejector pumps where sewage is also handled, the lid to the basin is kept sealed and a vent pipe safely evacuates sewer gasses. Whenever you flush a connected basement toilet or run a sink or washing machine, the ejector pump activates to help flush excess wastewater. There is also an additional alarm switch which senses and activates when a certain amount of solid waste accumulates. The pump then grinds up the waste and flushes it into the sewage lines. clogs caused by large amounts of solid waste. inability to activate during power outages due to the lack of a backup power source. Does Your Basement Require a Pump? When building a new home or renovating an old one, you may need to think about adding one or both types of pump, but may not be sure which is necessary. The following scenarios will help you to decide if your basement will benefit from installing a sump pump or ejector pump. Your home is in an area prone to heavy storms or hurricanes. You live in an area known for having a high water table. Your home’s foundation is at the bottom of a hill. Your home has a history of flooding. You use large amounts of water, especially for laundry, slop sinks, or washtubs. You have a toilet or full bathroom in the basement. Your home has a septic system and you want to add an extra buffer to reduce flooding.